The Primavera 200 Violin Outfit, 3/4 is an award-winning instrument suitable for beginners and students. The 200 violin is constructed from carefully selected hand-carved spruce and maple with inlaid purfling to create a full and resonant tone. Featuring ebony fittings along with a composite tailpiece with improved fine tuners, the Primavera 200 is a high-quality and hard wearing instrument. Included with the violin is a hard foam case, rosin, and a lightweight composite bow so you can start playing straight away. The Primavera 200 violin won the 'Best Orchestral Bowed Instrument' at the 2013 MIA awards, and has since been recommended by teachers and schools alike. The body of the instrument has been made from carefully selected maple and spruce which gives a full and resonant sound. Featuring an ebony chinrest, pegs and fingerboard, the fittings are not only traditionally stylish but also very practical and high-quality. A lightweight composite tailpiece with improved fine tuners makes the instrument lightweight and easy to use. Multi-filament Steel strings have been used on the 200 series to give a feel similar to that of natural (high-quality) gut strings. These quality strings not only create a pleasing tone, but are also hard wearing. The Primavera 200 violin includes a range of accessories to get you playing straight away. The lightweight composite bow includes an ebony frog and natural horse hair, making it durable, lightweight and very easy to use. The violin also includes a hard moulded foam case, which includes shoulder straps for carrying to lessons and rehearsals. The outside of the case features 2 large pockets ideal for A4 sheet music, manuscript or any other large accessories. A third accessory pocket can be found on the inside and is ideal for smaller accessories such as the included rosin. The case has enough space to hold two bows. The BC-700 Chromatic Tuner by Gear4music is a compact and simple tuner, ideal for all acoustic instruments thanks to the built-in microphones. This easy to use tuner is capable of tuning a wide range of notes, from A0 to C8 making it highly useful and versatile. Requiring 2x 1.5v (AAA) batteries, this tuner has a built in power save mode that automatically disables the tuner after 5 minutes without use, meaning you get the most out of your batteries, a must have for any gigging musician or students. 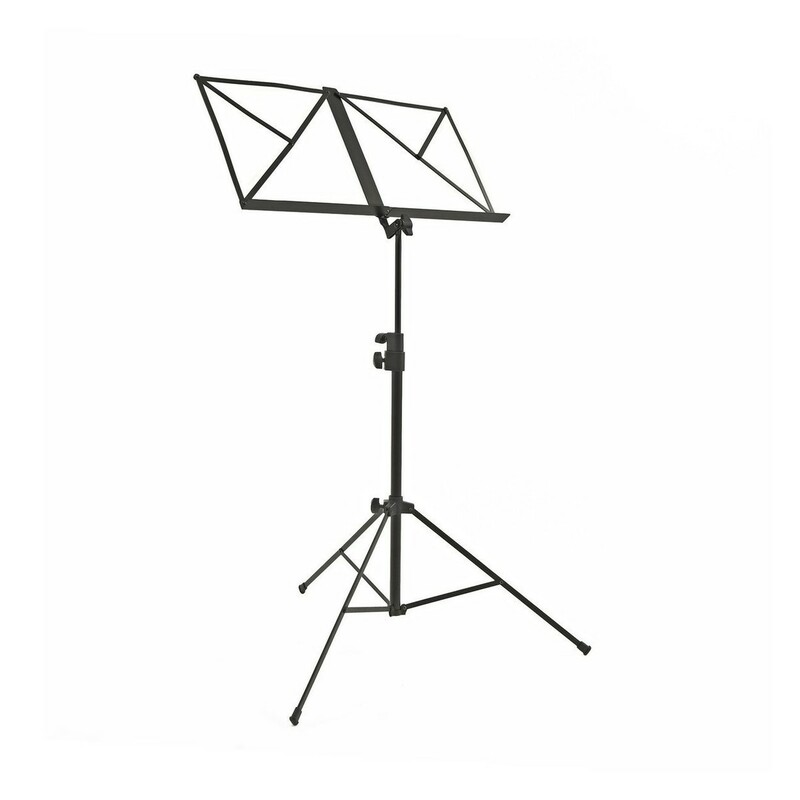 The Music Stand by Gear4music is an essential tool for any developing musician and will securely hold your music for you whilst you play. The fitted page holders ensure you don't lose your place whilst the double section, fully height adjustable body means the stand is suitable for all ages. The non-slip feet keep the stand positioned still on the floor and the easy to turn handles allow simple and easy height adjustment. 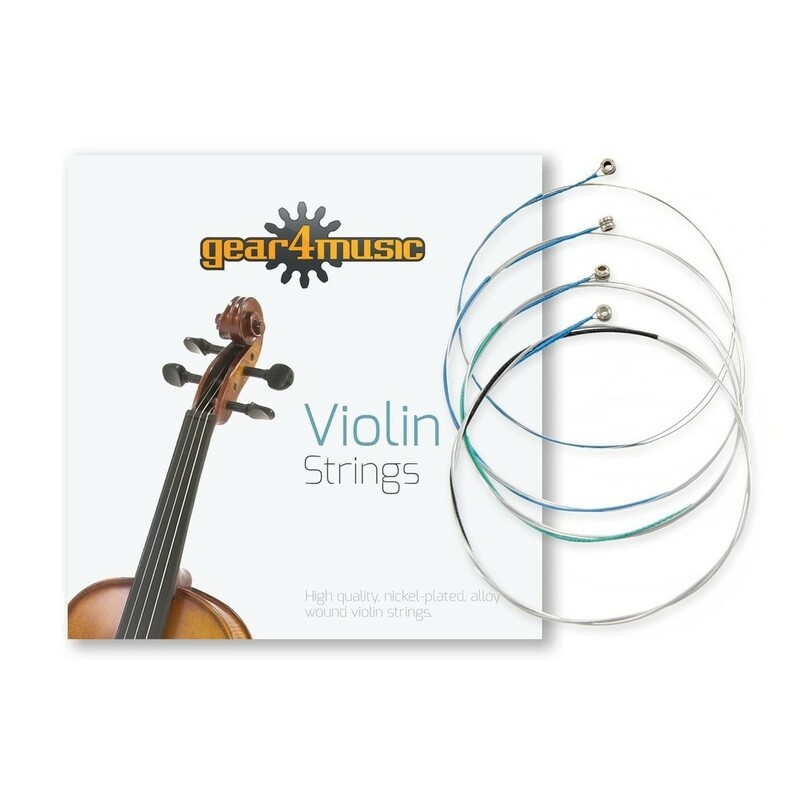 The Gear4music Violin Strings are made of steel core for quick response, stable pitch and enhanced volume, and produce a bright and well-focused sound. These strings are easy to play, making them ideal for beginners and students alike.